An expanded version of the side-scrolling action RPG game Moonfall, where in addition to the story mode we will find a co-op mode and an infinite Arcade mode. In Moonfall Ultimate we travel through the industrial-gothic Empire, trying to resist the invasion of the Wilderness. 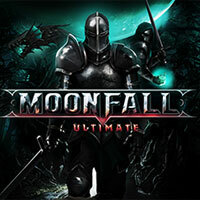 Moonfall Ultimate is an expanded version of Moonfall released in 2017. This side-scroll action RPG, enriched with elements of metroidvania, was developed by an independent team of Fishcow Studio, and it was released by Wales Interactive. Moonfall Ultimate takes us to the industrial-gothic world, to the Empire, which owes its power to the element called the Lunarium. It is on him that the Savages, who attacked the land, sharpen their teeth; but our task is to repel the invasion before the Empire falls under its pressure. Before playing Moonfall Ultimate we choose a representative of one of three character classes (their list consists of Vanguard, Elementalist and Shadow), each of which has unique active and passive abilities. The world presented consists of thirteen different levels, where we perform tasks find notes to broaden our knowledge of the game world and fight against enemies. The clashes take place in real time, and with regard to victory, it is helped by quick reflexes, as well as careful observation of the movements of the opponents, the use of evasions and the emergence of rapid counter-attacks. As we progress, we increase the combat potential of our hero by providing him with new equipment (we can choose from eighty items such as swords, axes, daggers, armour, helmets, shoes and rings) and by collecting experience points and advancing to the next level. This is important because in order to gain access to some places, we first need to unlock a specific skill or to gain a specific item. In addition to the feature mode, Moonfall Ultimate has a cooperative module for playing on a shared screen, as well as an infinite Arcade mode, where we try to stay alive for as long as possible. Like the original, Moonfall Ultimate has 2.5D hand-painted graphics; the whole is kept in a dark style, which is achieved mainly through subdued colors and gloomy designs of the location.